As the government of Karnataka, Subramanyam Swamy, the complainant in the case and K Anbazhagan of DMK, on whose plea the trial was moved from Tamil Nadu to Karnataka continue to weigh their legal options, 'Traffic' Ramaswamy , a social activist has gone ahead and filed a Special Leave Petition before the Apex Court regarding Karnataka HC acquitting the former Chief minister of Tamil Nadu and AIDMK supremo Jayalalithaa in a DA case. “Traffic” Ramaswamy has been active on the PIL front and in the past, and has filed petitions relating to roads, building violations and public safety. Reportedly, Mr. Ramaswamy after filing the SLP said, “"I have submitted all records to the Supreme Court registry and diary number of my SLP is 17027/2015." He added that he had to move to the Apex Court as "all the three are shirking their constitutional responsibility due to political reasons. I as a socially conscious activist consider it my duty to spur them to fulfil their obligation." In his 80s, Mr. Ramaswamy said that he got every required document photocopied, which in fact were thousands in number as "Otherwise, they (Registry) would not have accepted my case, and given me this number." He added, "Only after the news of my SLP came out, did the government of Karnataka said it would file appeals, too. My stand reflects public mood, and I hope others will also join in the appeal proceedings before the Supreme Court." Hoping to make a good case before the Apex Court, Mr. Ramaswamy said, "there are two-three rulings favouring participation of third parties in appeal proceedings. I am studying them and consulting experts." He also said, "I will not mention the matter and insist on early or out of turn hearing of the case. Let it come in normal course." 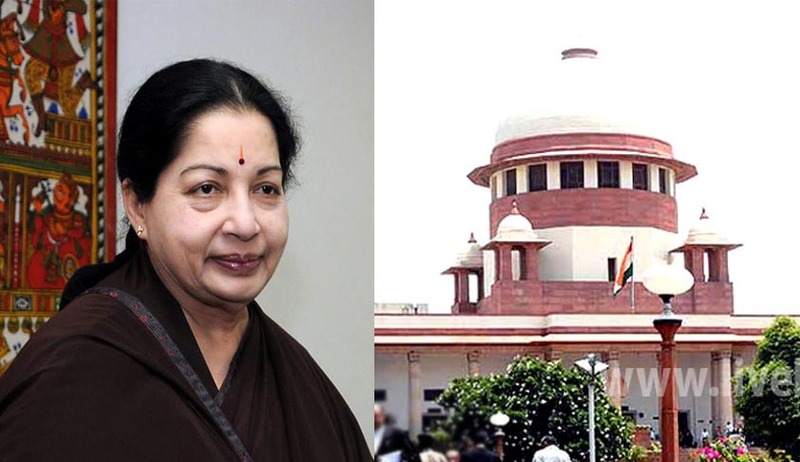 Former Chief Minister of Tamil Nadu, Jayalalithaa was convicted by a Bangalore city court in a DA case. However, subsequently, the High Court acquitted her. You may read more of coverage on Jayalalithaa here.